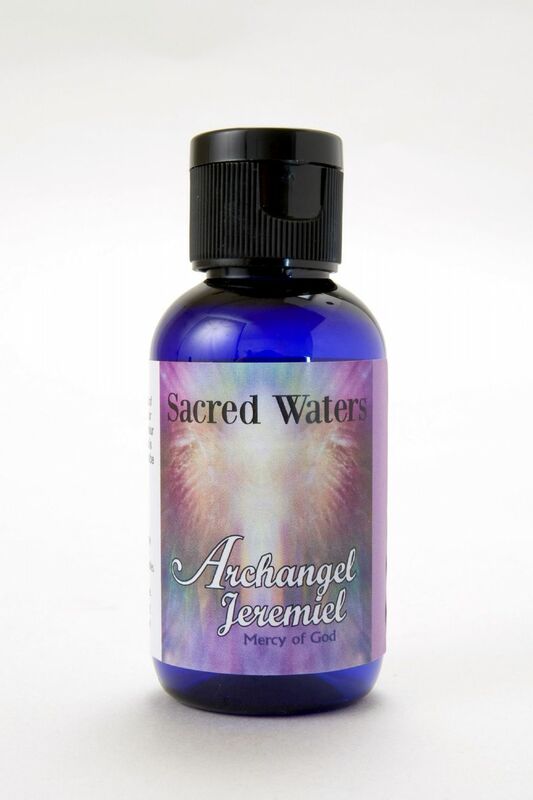 Embrace the enchanting energy of the Sacred Waters of Archangel Jeremiel, who assists us to see clearly the effects of our life decisions and where they are leading us. Embrace the enchanting energy of the Sacred Waters of Archangel Jeremiel, who assists us to see clearly the effects of our life decisions and where they are leading us. He opens our eyes that we can acknowledge where any changes in behaviour patterns may be needed to follow our highest path. Jeremiel is also the Archangel of prophecy and psychic dreams and can be called upon to better understand any visions received. A magical formula containing the aroma of Angelic seed, Geranium and Peppermint. Floral Water. Holy Water. Gem Essence of Amethyst.